An Egg-cellent Morning! | eat. drink. be merie. This morning I woke up with the strangest feeling… I didn’t feel tired! Last night was the first night in (what seems like) forever, that Elle has actually slept through the night. At first, I was in a bit of a panic, fearing that I had forgotten to turn the baby monitor on and had just not heard my poor baby calling for me all night. But, it was on, and fully functional, so I breathed a big sigh of relief and just enjoyed my pillows for a minute. What to do after an eight hour sleep? 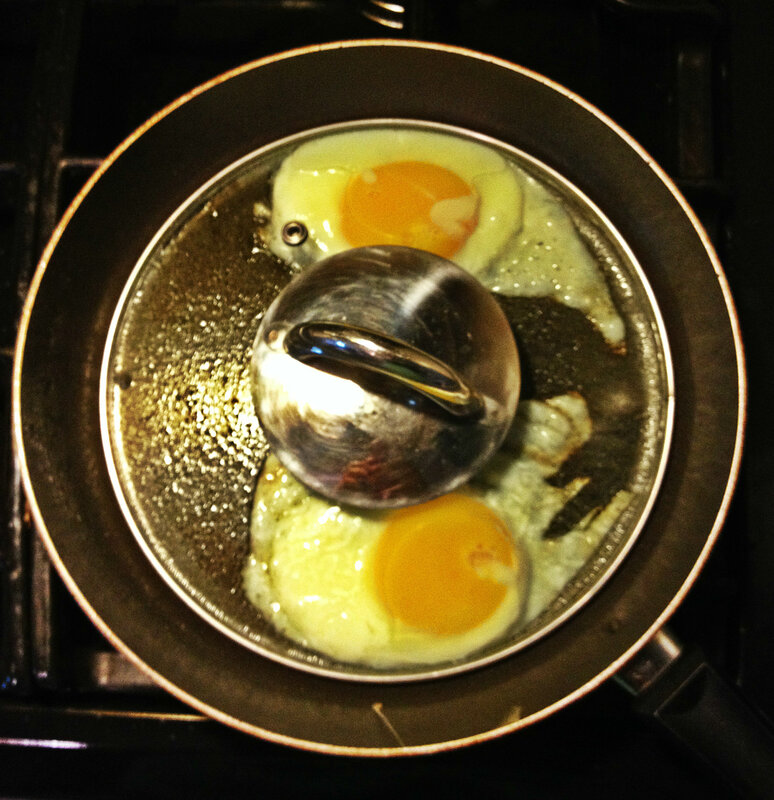 Make some eggs for breakfast! And voila! 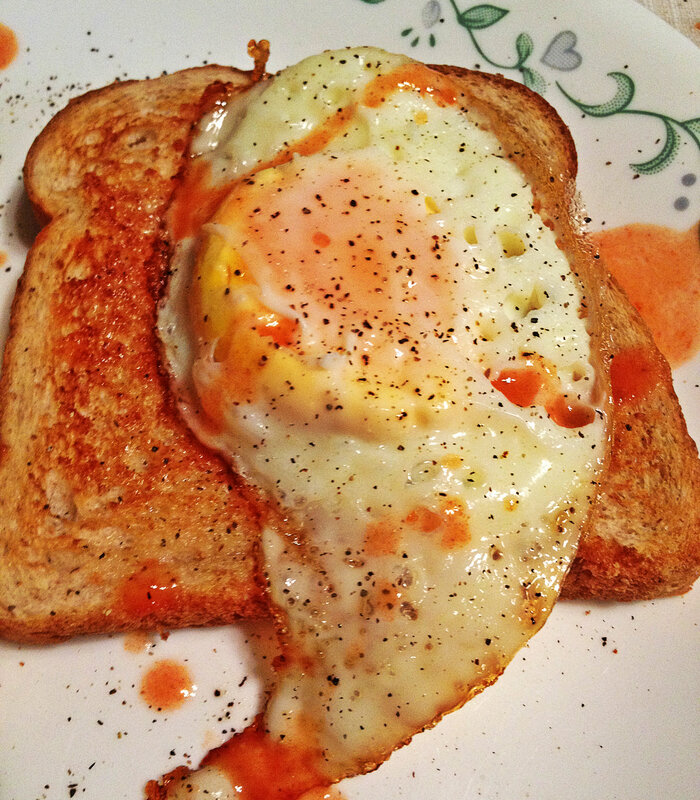 Eggs over east with a dash of salt, pepper, and some Frank’s Red Hot!